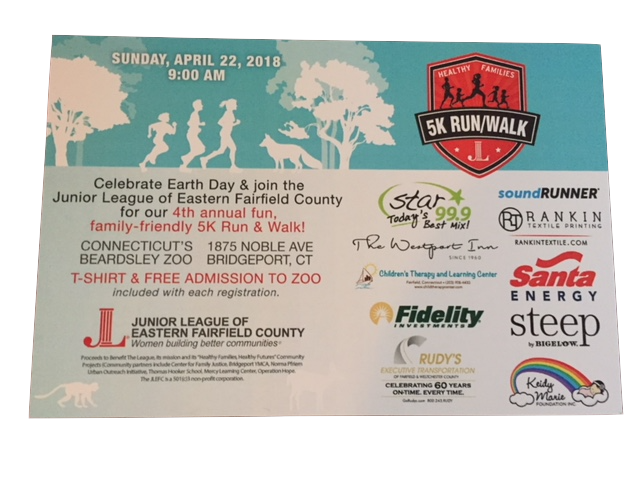 Join the Junior League of Eastern Fairfield County for its third annual fun, family-friendly 5K and kids run held for the first time in the Beardsley Zoo! Maybette Waldron, Southport resident, and Stefanie Seanor, Easton resident, celebrated the grand opening of their new business, Children's Therapy and Learning Center, on Monday, April 28th. The center is located at 2228 Black Rock Turnpike, Suite 201, in Fairfield. CTLC offers integrative and collaborative care to children of all ages and the families who support them. Services provided at the center include occupational therapy, speech and language therapy, tutoring, behavioral support services, social skills, feeding supports, sensory processing skills and handwriting. CTLC is in-network with most insurance companies. Call 203-908-4433 for an appointment or visit the website at www.childtherapycenter.com.